Spent coffee grounds (SCG) and coffee silverskin (CS) represent a great pollution hazard if discharged into the environment. Taking this fact into account, the purpose of this study was to evaluate the chemical composition, functional properties, and structural characteristics of these agro-industrial residues in order to identify the characteristics that allow their reutilization in industrial processes. According to the results, SCG and CS are both of lignocellulosic nature. Sugars polymerized to their cellulose and hemicellulose fractions correspond to 51.5 and 40.45 % w/w, respectively; however, the hemicellulose sugars and their composition significantly differ from one residue to another. SCG and CS particles differ in terms of morphology and crystallinity, but both materials have very low porosity and similar melting point. In terms of functional properties, SCG and CS present good water and oil holding capacities, emulsion activity and stability, and antioxidant potential, being therefore great candidates for use on food and pharmaceutical fields. The authors acknowledge the financial support of the Science and Technology Foundation of Portugal (FCT) through the grant SFRH/BD/80948/2011 and the Strategic Project PEst-OE/EQB/LA0023/2013. 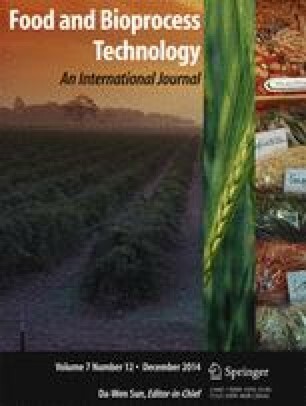 The authors also thank the Project “BioInd - Biotechnology and Bioengineering for improved Industrial and Agro-Food processes", REF. NORTE-07-0124-FEDER-000028 co-funded by the Programa Operacional Regional do Norte (ON.2-O Novo Norte), QREN, FEDER. Thanks are also given to Prof. José J.M. Órfão, from the Department of Chemical Engineering, Universidade do Porto (Portugal), for his assistance with the porosity analyses.